About 30 years ago, a researcher massaged an infant rat with a small brush as part of a series of experiments on maternal tactile stimulation to increase levels of two key growth markers. That seemingly benign procedure, funded by federal research dollars, led to a groundbreaking discovery in the treatment of premature babies that has saved countless lives. In neonatal intensive care units around the world, parents and caregivers are massaging the newborns to help them thrive. Four scientists were honored for this breakthrough research with the 2014 Golden Goose Award: Dr.Tiffany Field, Executive Director of the Touch Research Institute at the University of Miami School of Medicine; Dr.Gary Evoniuk, Director of Publication Practices at GlaxoSmithKline; Dr. Cynthia Kuhn, Professor of Pharmacology and Cancer Biology at the Duke University School of Medicine; and the late Dr. Saul Schanberg of Duke University. 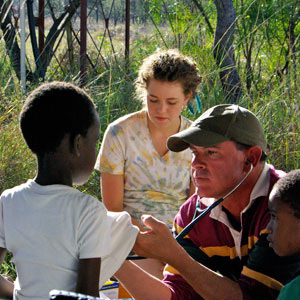 Each year, Golden Goose showcases seemingly obscure studies that have led to results with significant societal impact. Award recipients are selected by a panel of university research leaders and leading scientists in related disciplines and honored at the annual Golden Goose Award ceremony each September. 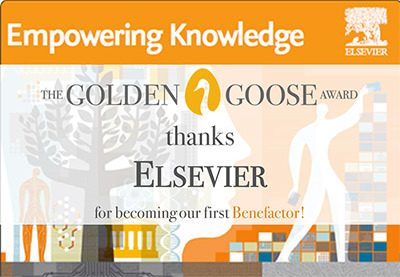 Elsevier has become the award’s first Benefactor with a contribution of $250,000. As the largest contribution ever received by the Golden Goose Award, it will help establish the award, now in its fourth year, as a lasting recognition of the long-term value of critical federally funded academic research. The contribution will be paid in five $50,000 annual increments beginning in 2015. “The nature of scientific research is that it often produces unexpected results,” said Dr. Brad Fenwick, Senior VP of Global Strategic Alliances at Elsevier, who laid the groundwork for this sponsorship. Dr. Fenwick, formerly a researcher and professor in veterinary pathobiology, noted that some federally funded research grants may seem outwardly obscure but in fact often generate important discoveries that benefit society in significant ways. 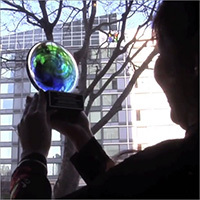 The Golden Goose Award was founded in 2012 by a coalition of business, university and scientific organizations. US Representative Jim Cooper (D-TN) came up with the idea as a response to the Golden Fleece Award created by the late Senator William Proxmire (D-WI), which targeted wasteful federal spending that often included peer-reviewed science that sounded odd. While such research is easily singled out, it often reflects a broader fundamental misunderstanding of how science works and how such research can prove valuable to society regardless of its frivolous-sounding nature. Rep. Cooper believed such an award was needed to demonstrate the inherent value of basic research regardless of its immediate practical application. In 2012, the Golden Goose Award’s founding organizations took up Rep. Cooper’s idea and issued the first three awards to groups of researchers whose federally funded research has led to major breakthroughs in biomedical research, medical treatments, as well as computing and communications technologies. The Golden Goose Award has strong bipartisan support and winners are honored every year at an award ceremony in Washington, D.C.
With the fourth annual Golden Goose Award ceremony taking place on September 17, the organization has announced two 2015 recipients, with a final recipient to be announced in September. The first 2015 winners are psychologists Dr. Walter Mischel, Robert Johnston Niven Professor of Humane Letters in the Department of Psychology, Columbia University, Dr. Yuichi Shoda, Department of Psychology, University of Washington, and Dr. Philip Peake, Professor, Chair of the IRB, Smith College, whose work is best-known through an often-watched video in US psychology classes, of the so-called “ marshmallow test .” This is the systematic testing of delayed gratification in young children through marshmallow treats. The researchers’ federally funded research showed the correlations between early-childhood “high delayers,” who were able to wait longer for the treat, and long-term social and academic success. Sharing the 2015 honors are Nobel Laureates Dr. Torsten Wiesel and the late Dr. David Hubel. 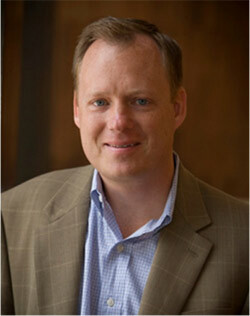 Using funding from the National Institutes of Health and Air Force Office of Scientific Research, Drs. Wiesel and Hubel were trying to determine how certain nerve cells, or neurons, responded to stimuli. To do so, they had cats and monkeys looking at a black dot on a clear glass slide projected onto a screen, but the neurons they were targeting were not responsive. It was only when one of the researchers accidentally moved the slide a little too far, bringing the faint edge of the glass slide into view that the neurons began to respond. This mistake proved to be the crucial element that has led to advances in brain research and improved vision for children born with cataracts. Later work in this field has led to advancements in computer science, especially “machine vision” – research intended to help computers improve their visual processing.